The City of Kettering took on ownership of the former Gentile Air Force Station in 1996. The focus for more than two decades has been to reinvest in the area, now known as the Kettering Business Park, to offset the loss of more than 2,500 jobs that left the City when the Air Force consolidated operations. By any measure, the City’s efforts have paid off, ensuring quality re-use of the commercial properties and growth of well-paying jobs. Today, the Kettering Business Park is once again home to nearly 2,500 employees. Companies like Synchrony Financial and Alternate Solutions Health Network, after investing tens of millions of dollars in their facilities, are thriving. Kettering Health Network opened their multi-million-dollar operations command center in January 2019. At the Kettering Business Park, as with all areas of Kettering, we consider the leaders of our businesses critical constituents. We work closely with them to provide the business environment that meets their needs and expectations. 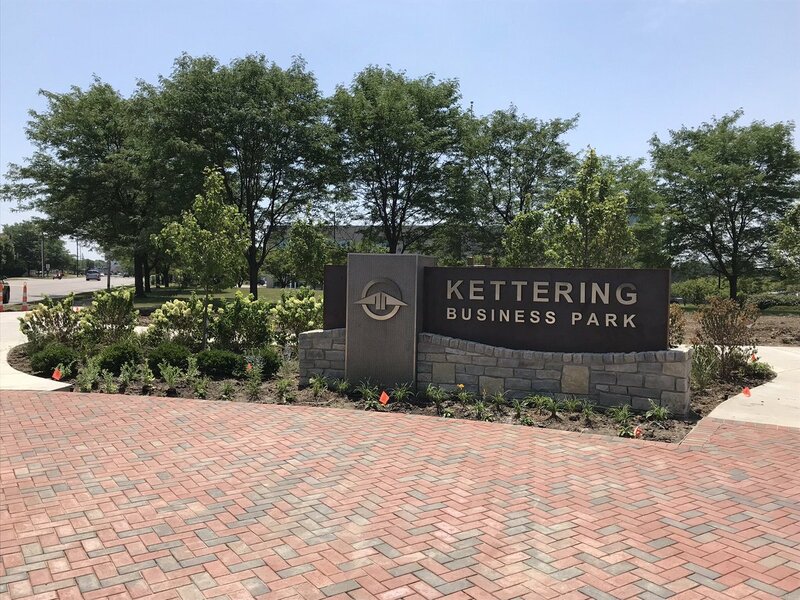 When the City of Kettering created the Kettering Business Park in the mid-90s we designed and installed landscaping and signage, but 20 years later no further significant improvements had been made. Imagine if you bought a house and didn’t make any updates, even curb appeal improvements, for more than two decades! With our businesses in the Kettering Business Park rapidly expanding and individual businesses reinvesting considerably in their own facilities, the City determined in 2017 that the entry to the campus was long overdue for a face-lift. We engaged representatives from Kettering Business Park businesses to complete a master plan which included a new signature entry, improvements to the public roadway, and landscaping on the city owned portion of the campus. Since we launched the upgrade project at the Kettering Business Park in early 2018, interest in the available space on the campus has grown. We are actively working on numerous potential projects which will bring even more jobs to our city. We are confident that we will continue to see job growth at the Kettering Business Park. Our investment to spruce up the front door of one of the largest and most vital commercial centers in Kettering will, in the long run, be a drop in the bucket compared to the millions of dollars business tenants will invest and the revenue generated by companies who call the park home. The City of Kettering is proud to announce that Alternate Solutions Health Network is relocating to Kettering Business Park and completing a major renovation to accommodate their expansion. 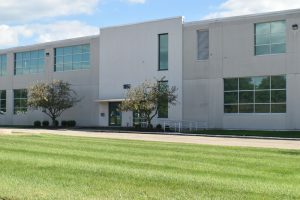 The Kettering based business purchased a 200,000 square foot facility at 1050 Forrer Boulevard in the Kettering Business Park from the City of Kettering. The expansion will allow a projected growth in employment of more than 340 jobs in the next five years. This reinvestment is critical to the ongoing success of the Kettering Business Park, a city operated economic development project at the site of the former Gentile Air Force Station. The project was made possible with support from the Dayton Development Coalition and the late Tom Nikolai of Mark Fornes Realty. Alternate Solutions Health Network, founded in 1999 by Kettering residents David and Tessie Ganzsarto, is a national leader in post-acute strategic partnerships. The business collaborates with health systems to build a post-acute continuum of care focused on technology, efficiency, and performance. Alternate Solutions Health Network is dedicated to transforming the quality of care for both partners and patients. 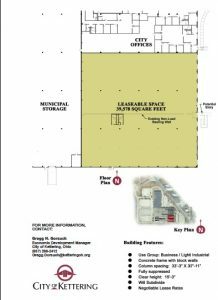 For information about space available in the Kettering Business Park, call Gregg Gorsuch at 937-296-2453.